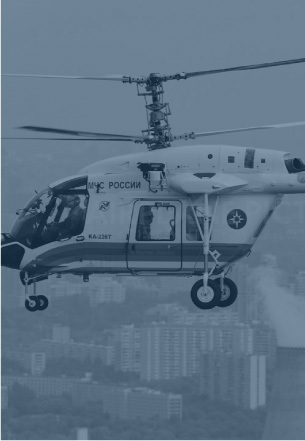 (Now Accepting Orders) The Ka-226T is a versatile Helicopter which can be adapted to multiple uses including Air Ambulance, police, fire fighting and search and rescue applications and is used by MCHS Russia Emergency Service and Gazprom. 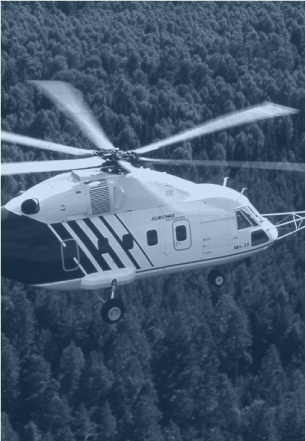 The multipurpose helicopter Ka-226T has completed certification in the spring of 2015 by the Aviation Register of Interstate Aviation Committee in compliance with the Russian AP-29 requirements. The helicopter can be operated in the transport category A and B. The use of Ka-226T coaxial rotor and the original layout of the fuselage give it significant advantages in capacity, simplicity and ease of piloting. Lack of mutual influence of channels control helicopters equipped with large LCD cockpit display, low rise boot pilot in flight and, consequently, increase flight safety. The lack of tail rotor ensures increased load lifting capacity, higher OGE hover ceiling and ability to fly at the altitude of 5000 m (16393 ft) due to higher efficiency of helicopter coaxial configuration and smaller (10-15%) power loss of power plant due to lack of rudder screws. The helicopter can land and takeoff from unprepared sites including sites overgrown with shrubs. Small size (diameter of the rotor is 13 meters), the powerful and reliable power plant of two engines which can be used to service offshore oil platforms, ships, unprepared to limited areas and in the cramped conditions of the modern city. The absence of tail rotor eliminates the personnel injuries when the helicopter is on the ground. Distinctive feature of the Ka-226T is a modular design of fuselage, which ensures its multi- functionality, depending on the application of unified quick-modules, equipped with a variety of target hardware. Installation / removing of the module can be implemented by only 2 people in 2-3 hours. 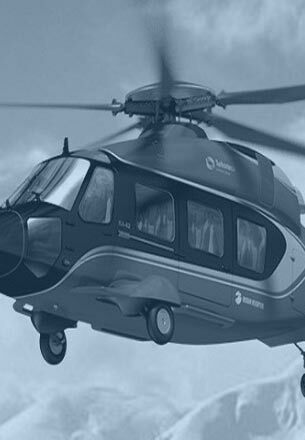 The helicopter is equipped with two powerful and reliable engines of Turbomeca Arrius-2G1 X2. Transport 5-6 passengers with a high level of comfort.